Elaine Baker looks straight into the video camera and tells her story. Elaine is the owner of Paper Potpourri in Haverhill, Massachusetts. Her stationery boutique specializes in invitations for weddings and other special occasions. She describes why she loves William Arthur, a division of Hallmark that designs and produces many of the invitations she sells. She recounts how a customer of hers, after staring at the invitations she had ordered from Paper Potpourri, exclaimed: “I have had work done for years and never, never, never have I ever had a finished product with the quality of the paper and the colors so true to what I had requested.” Elaine then goes on to say how each contributor at William Arthur plays a vital role in her ability to deliver these kinds of customer-delighting results. She talks about the importance of creating a reassuring customer experience, given how anxious and stressed many brides feel. She shares how she wants her clients to know that not only will they get wedding invitations they will be proud of, but that she will make her part of the stressful wedding planning experience stress-free. In an interview with another customer of William Arthur, this one a stationery boutique manager in New York City that caters to affluent clientele, the store manager shares stories illustrating the stress and overwhelm many of her bride-to-be customers feel. She also shares frankly how demanding her customers are, which requires her to be especially attentive to providing a flawless product and a flawless customer experience. She shares how important it is for her to create a reassuring, “You’re in good hands” experience for her frazzled brides. How can “behind the scenes” employees connect? These interviews were conducted in response to employee survey feedback that revealed employees at William Arthur weren’t nearly as engaged with the company’s brand promise as the leadership team knew they needed to be. The survey revealed that, as is often the case, the “behind the scenes” employees in production who didn’t interact with customers didn’t feel a connection with their customer. They lacked the direct contact one truly needs to empathize with a customer’s needs in more than an intellectual way. Employees involved in day-to-day operations also reported that they didn’t understand the company’s newly articulated brand promise and how it was supposed to guide their daily actions. This revelation was especially concerning to the leadership team, since a brand promise is designed to drive strategy as well as operational decisions. Because their brand promise focused on the customer experience, employees who didn’t interact with their customers couldn’t see how their daily actions affected the company’s brand promise to either customer group — the stationery store managers who sold their product or the end-user. To them, the company’s brand promise was no more than Corporate Speak. B) For this to happen, employees needed to have a “line of sight” between their daily work and the company’s brand promise. The challenge William Arthur faced in creating “line of sight” — of linking ALL employees to their brand promise, strategic goals, and vision — is a challenge faced by most employers. In fact, a survey of over 23,000 employees conducted by Harris Interactive showed that only 20 percent of employees knew how their job performance affected their employer’s goals. Employees cannot provide the most value to their employer if they don’t have a clear understanding of what behaviors contribute the most to their employer’s goals, vision, and ability to deliver its brand promise. 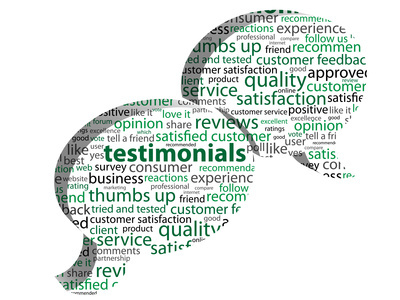 One of the most powerful ways of helping employees develop a clear, compelling line of sight is to connect them with the voice of your customer by collecting customer stories and testimonials. By sharing these stories and testimonials with your employees, you infuse their daily work with greater meaning and purpose. They see and hear directly the difference their work makes, and the difference doing a great job makes. When employees feel their work has meaning and purpose it elevates performance, determination, and passion. Research by Dr. Adam Grant, management professor at Wharton, reveals the power of hearing customer stories. Dr. Grant and his team have conducted multiple studies involving university fundraisers who call alumni seeking contributions for university scholarship funds. In one study, a scholarship recipient visited a group of fundraisers and shared their story about the difference the scholarship made in their ability to attend the university and in their lives. In the control group, no such story was shared. A month later, the performance of both groups was measured. The control group showed no increase, not surprisingly. The callers who had listened to the story about how their difficult work made a difference in the world, averaged twice as many calls per hour. Not only did they work twice as hard, they also produced exponentially better results. Their average weekly revenue increased from $411.74 to $2,083.52 — an increase of over 400 percent. 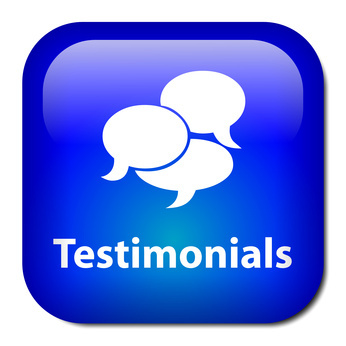 Sharing customer stories and testimonials also helps unite employees, fostering interdepartmental teamwork and excellent internal customer service. It helps overcome departmental silos and turf battles and cultivates by focusing everyone on the same goal: Working together to delight customers. Rather than just pass around customer emails or telling stories second hand, let your customers tell their story directly, whether on video, in a recorded telephone interview, or live. The difference in effect between firsthand and secondhand stories cannot be overstated. In his Harvard Business Review article How Your Customers Can Rally Your Troops, Dr. Grant describes another study that compared the effect of hearing directly from a scholarship beneficiary versus hearing a second hand story from a manager. Hearing the second hand story made no difference in employee performance, while hear directly from the beneficiary did. The challenges your customers (patients or clients) face. How your product or service solved those problems. How your product or service made a difference in their lives and what that meant to them. How employees providing great service or great service recovery not only positively affected the customer, but made them want to tell others about your company. So start collecting and sharing these customer stories with your employees, and reap the benefits of a more engaged and inspired workforce. Note: for more examples of using storytelling as a teaching, coaching, and inspirational modality, go to www.StoriesThatChange.com.